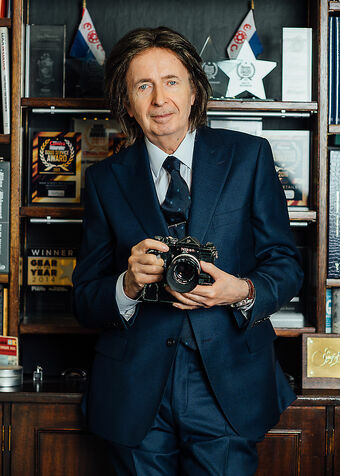 Grays of Westminster, the multi-award-winning Nikon-only shop, was founded over thirty-three years ago by Gray Levett with the idea of creating a world-class camera store, offering a service that was second to none. It is superbly located in a quiet area of central London, a few minutes walk from Victoria Railway Station; the Houses of Parliament, Buckingham Palace, the Tate Britain, River Thames and Knightsbridge are all within easy reach. Grays of Westminster is not simply a famous Nikon camera shop; it is to many photographers around the world an institution. It can trace back its beginnings from a modest mail order company to its present, highly-respected position in the photographic industry. It holds the unique distinction of being the only company ever to have won all three Dealer of the Year awards voted by the readers of Amateur Photographer, Practical Photography and Buying Cameras magazines in one year. In addition prestigious awards for Grays of Westminster's unprecedented sales of Nikon and their contributions to the Nikon brand internationally were presented by Nikon Japan and Nikon U.K. Limited in 2003, 2007, 2009 and 2010. In 2011 they won the Pixel Magazine Trade Award: Independent Retailer of the Year and the What Digital Camera/Amateur Photographer 'Gold Winner' Good Service Award. In July 2011, Nikon UK Limited presented them with a stunning, heavy crystal trophy which reads: "Presented to Grays of Westminster to celebrate their 25th Anniversary and their outstanding contribution to Nikon users." Additionally, The President of Nikon Japan presented them with a beautiful Japanese plate in recognition of their being a long standing institution in the photographic industry. They have won the Amateur Photographer Gold Good Service Award in 2011, 2012, 2013, 2014, 2015 and 2016. They have also won the prestigious Practical Photography magazine Gear of the Year Gold Service Award for four years in a row for 2014, 2015, 2016 and 2017. 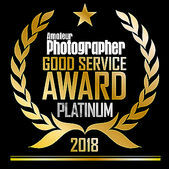 In 2017, Grays of Westminster became the first-ever winner of the newly inaugurated Amateur Photographer Good Service Platinum Award which was established to recognise and reward not only outstanding service but to acknowledge the most popular store calculated by the largest number of votes by the general public. In February 2018 Grays of Westminster won this award for the second year in a row. 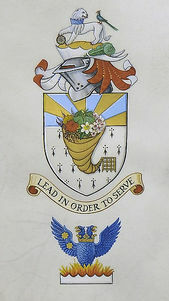 Grays of Westminster, became the first camera shop in the world to be granted a Coat of Arms. Mr. Robert Noel, Lancaster Herald of Her Majesty's College of Arms, presented the Coat of Arms to Gray Levett, founder of Grays of Westminster at a celebratory dinner held at the Institute of Directors in Pall Mall, London on 29th October 2014. Grays of Westminster stock the entire range of Nikon digital SLR cameras: D5, D850, D810, D750, D610, Df, D500, D7500, D7200, D5600, D5300 and D3400. 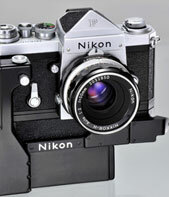 Currently, we can also supply the Nikon SP black and S3 Limited Edition rangefinder cameras. Additionally, Grays of Westminster stock the extensive range of autofocus (AF), AF-S (Silent Wave), AF-P (Stepping Motor) and DX & FX Nikkor lenses, manual focus Nikkor lenses plus Speedlights and a vast range of Nikon accessories from eyepiece correction lenses to lens hoods. We provide a comfortable atmosphere, in unashamedly old world style, with leather-topped desks and soft furnishings. By dealing in just one brand, Nikon, the choice of the majority of professional photographers, we can provide a distraction free environment. 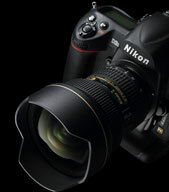 Here customers can gain an introduction to the Nikon system and have their questions answered. Our staff is highly knowledgeable, yet friendly and relaxed in their approach. Pressured selling is emphatically not a part of the Grays of Westminster experience. Those already familiar with the Nikon system will no doubt have heard of Grays of Westminster but may not have experienced our service first-hand. Everyone is welcome here. 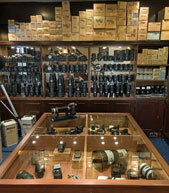 "Grays isn´t a shrine to Nikon, it is a shrine to customer service. It is a working exhibition of Nikon products throughout the ages that visitors are welcome to pick up, try out, have explained, and ultimately take home for their own continued enjoyment. It is a meeting of minds, a club in which all are welcome and an institution. Above all though, it is a truly extraordinary shop: a shop that has respect - for its customers, for the goods on sale, for the people that made them, for photography, for the past, the present and for the future - at the very core of its being." Furthermore, a vast amount of second-hand Nikon equipment is on display here. For example: D4S, D4, D810, D800, D800E, D750, D610, F700, D600, D90, D3X, D3, D700, D300, D200, D100, D80, D70s, D70, D2Xs, D2X, D2Hs and D2H digital SLR cameras. Examples of second-hand film SLRs that appear in our stock are: Nikon F6, F5, F4, F4s, F4E, F100, F80, F90x, FM2n, FM3A, F3HP, F3/T, F3/P and F3 Limited plus vintage equipment such as Nikon F, F2, Nikkormat and Nikon rangefinder cameras. Nearly all of our second-hand stock has been amateur-owned, and is in mint or near mint condition. Grays of Westminster have become world-renowned for the quality of their used equipment, and have set a standard to which other dealers aspire. Second-hand equipment is covered by a full year guarantee. Mail order customers can buy in the knowledge and assurance that the equipment they receive will match and often exceed the grading description given. 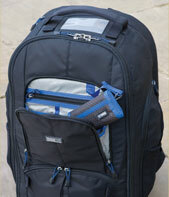 Grays of Westminster are official stockists for Think Tank products. Think Tank Photo is a professional photography equipment manufacturer, creating innovative camera bags, camera cases, photo backpacks and beltpacks for professional photographers who use digital SLR cameras. 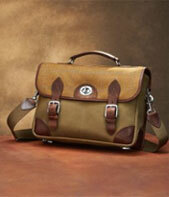 Hawkesmill had a very simple goal: to create the best camera bags and leather camera straps money can buy. It was their intention to forward the current “Made in England” movement and help England regain its former glory as a nation that was known for creating some of the finest products on Earth. Grays of Westminster are proud to stock the range of Hawkesmill handmade camera bags for those who demand the last word in luxury. 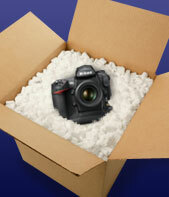 A fast and reliable MAIL ORDER on any item is available to most world-wide destinations. Tax free shopping to non-European Community residents is available at Grays of Westminster. Please telephone 020-7828 4925 or email us for details.